What do you do when you finally get a day off work? First, let me say this, I have been working six days a week for around 12 hours a day. So…tired? You bet. The only way I could drag myself out of bed yesterday was to keep reminding myself that I had today off. I woke up this morning at 5…yes, you heard that right…5 am! I got up, fed the cats and called in to work to make sure they understood my notes about what they needed to be doing. Then I went back upstairs and climbed back into my soft, cozy bed with Kindle in hand. I read for a while, then turned the light back off and slept until 9. Got up and piddled around for a while, climbed back into bed around 11:30 and fell into a deep sleep for another couple of hours. Felt oh so much better when I woke up. 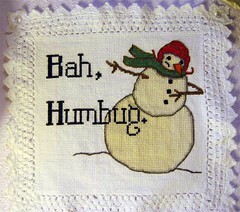 Twenty days ’till Christmas…falalalala lalalala…bah humbug!! As many people across the country have been doing, I’ve been thinking about people who have been impacted by Hurricane Sandy. My niece is out east (my pregnant with her first baby niece!! ), so of course we’re all worried about her and her husband. Thank goodness for social media sites which allow us all to stay connected…no waiting for days (or even weeks) to find out how everyone is doing. She posted on Facebook this morning that they hadn’t even lost power this time. And I have several friends who live on the east coast, all of whom have weathered Sandy’s temper tantrum…most made it through with just minor damage…and lots of standing water…and lots of amazing pictures. 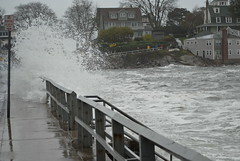 When I see the pictures and videos of the hurricane, I’m always in awe of how powerful nature can be. There are times we attempt to battle nature and then there are times when the wise course of action is to simply retreat and return another day. As sad and devastating as the property damage is, buildings can be rebuilt. Our friends and families are of much greater value than any building. As long as they stay safe, we’ll be all right. For anyone who has suffered the loss of a loved one or damage to your home or business, I’m deeply sorry. On a lighter note…I was shocked (although I probably shouldn’t have been) to discover how many of the pictures of the hurricane being posted on social media sites (the shark swimming in a yard in New Jersey, the soldiers at Arlington National Cemetery, the swirling cloud over the Statue of Liberty to name just a few) were either photoshopped (Statue of Liberty, shark) or had been taken at some other time (the photo of the soldiers was actually taken last month, not while Sandy was striking). I don’t know why this surprised me. It just seemed so wrong to fake pictures when there was so much suffering happening in real time. Ah well…that’s my rant for the day. Stay safe and stay dry, my friends. 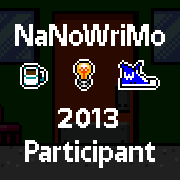 As I mentioned in my previous post, I’ve allowed myself to become quite the slacker with my writing…I think I can use this week to redevelop the daily writing habit. I have to, it’s one of the things in my life that keeps me sane (or at least what passes for sane in my crazy life). I’ve also been going through a lot of my “stuff”…funny, I’m pretty careful with what I buy any more, but still end up with several boxes/bags of items to pitch or donate. How in the world does that happen? Seriously, I go through things at least twice a year. You wouldn’t think I would have much to get rid of after several years of doing this, would you? But you’d be wrong with that assumption. Right now, I have a bag of magazines to donate (bingo ladies in my complex? ), a couple of bags of books to take to the Friends of the Library tomorrow, and some clothes to take to Goodwill. At least I’m pretty much past the stage of having knick knacks to get rid of. Today’s focus is going to be the kitchen. I did clean the oven yesterday. It really didn’t need a lot of cleaning, just wiping out, so that was fairly easy. But I want to pull everything out of the fridge and freezer, clean it completely, then reorganize it when I put it back…and I may just have to make up a big pot of veggie soup using frozen leftovers just to get rid of some of the little containers filling my freezer. Then I want to pull all of the furniture out and do a good mopping. I admit, I’m not the world’s best at that, only do a complete job of it a few times a year. Usually leave the plant stands in front of the window and just reach under them. But not today. Today I’ll move everything and use the little steam cleaner and get it done right! So, I can’t promise I won’t spend any time at all on Pinterest (or Facebook) today, but I can promise that it won’t be the entire day! What about you? Got any plans for your Monday? And what kind of crazy winter has this been? 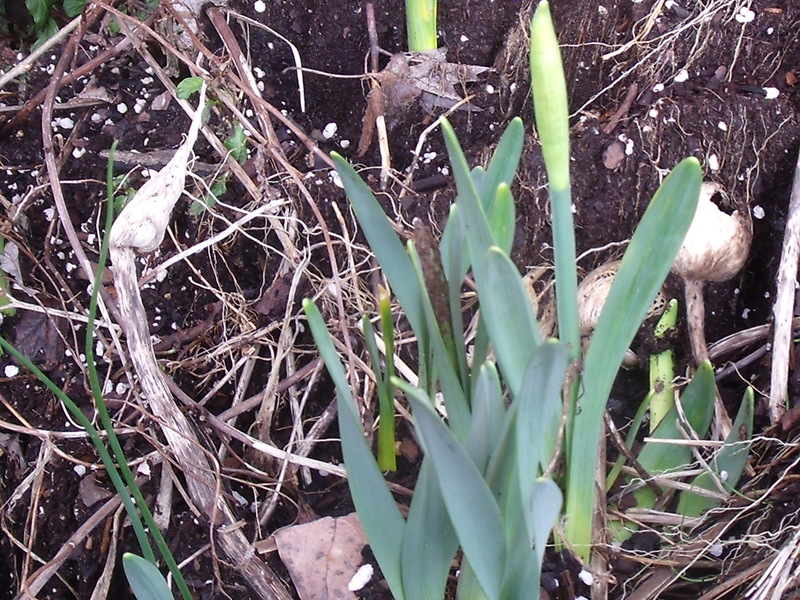 Daffodils trying to bloom in early February? What in the world happened while I was working today? Okay, granted I spent most of the day in the windowless stockroom, then in the windowless office, but was there some kind of wild event going on that I knew nothing about? Should I have been checking in on Facebook throughout the day? Going online to keep abreast of local happenings? When I drove in to work this morning a little before 5 am, gas was $3.11 per gallon. On the way home I noticed that it had shot up to $3.36 a gallon. Did a pipeline burst somewhere? Did someone blow up a refinery? Oh wait, now I remember, it’s 3 days before a holiday…of course the price of gas is going to go up. What was I thinking? Well, a few days ago I was thinking that this would happen and filled the tank up with that $3.11/gallon gas…ha, take that you blasted oil companies…can’t fool me! Hmm…I could say that with meaning if I owned one of those cute little electric cars or a hybrid…maybe next time! Do you get offended when someone says “happy holidays”? We were talking about this at work the other day. On Facebook, I’ve seen so many people complaining about someone wishing them happy holidays instead of saying merry Christmas. I was in the break room with a couple of the gals I work with (Donna and Cathy) and I brought it up. We were all in agreement that we take no offense either way. I figure, if someone says happy holidays, they’re just trying to be nice. I can’t imagine people taking offense to that. At work, if I see someone buying Christmas things, I’ll wish them a merry Christmas. 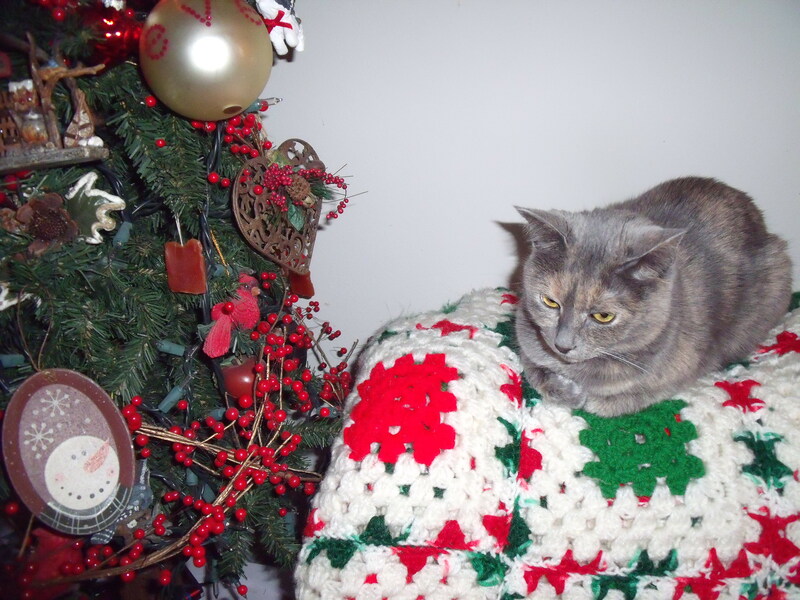 Otherwise, I’ll say “happy holidays”…I’ve never had anyone get mad at me about that. When someone is just trying to be nice, wishing you well, I think you’re being overly sensitive to be offended by the wish for a happy holiday. Yes, Christmas is the celebration of the birth of Christ, but there are other holidays at this time of year. Why should we exclude those of other faiths and beliefs when we’re hoping that people will have a happy holiday…whatever that holiday may be. Come on people, chill a little…happy holidays to all!! I had the day off work today and decided to try to finish up my Christmas shopping. Now I have to tell you, shopping of any kind is not my favorite thing to do, but shopping at this time of year is something I really, really don’t enjoy. It’s not that I don’t want to buy things for the people I love, it’s just that I don’t want to have to get out there and battle the crowds. Having said that, I’ll admit that it wasn’t too bad today. I was out and about by just a few minutes after 9 this morning. Had my shopping stops all planned out, had a pretty good idea of what I was going to get for everyone on my list, and how much I wanted to spend. 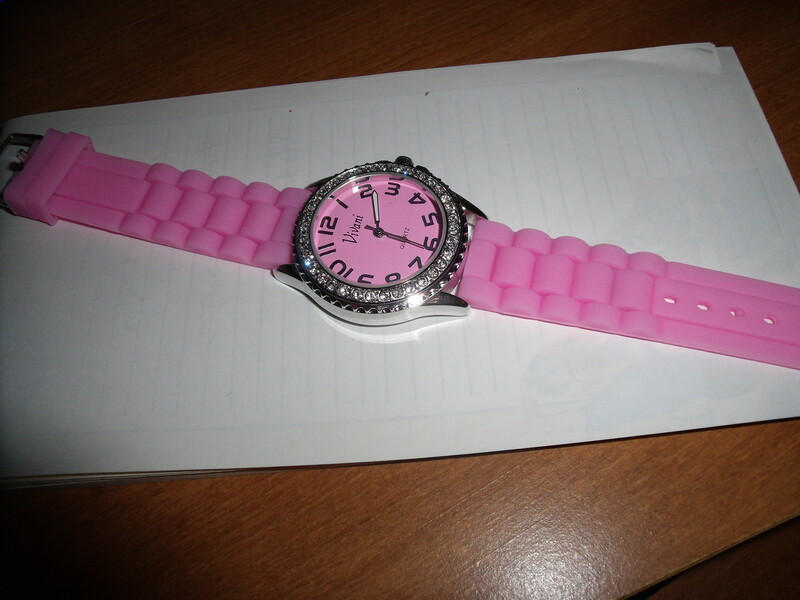 …but I kind of needed wanted a new watch since I’m not able to figure out how to reset my digital watch when daylight savings time changes…and it’s pink…and I love pink! Hey, why am I justifying buying a watch for myself? I go out and work hard for my money, don’t do a lot of shopping for myself, have done a pretty good job of saving money over the past few years…I think I can buy and enjoy a $15 watch for myself. So there! And if you don’t agree…well, I just don’t care. Whoa!! Let me explain, this is in response to a comment someone left on my status on Facebook (I said that I always buy just about as much stuff for myself as for the people on my list when I go Christmas shopping…yes, that was an exaggeration…but I do tend to buy a few things for myself when I do my Christmas shopping) saying that the truth was that I am a me, me, me person…that she doesn’t ever buy for herself when she’s out Christmas shopping and so on and so on…well, you know…sorry about that, but that’s you and maybe you’re a saint and I’m just a selfish, self-indulgent b!tch…but I am going to enjoy my new pink watch! Okay, now back to the Christmas shopping experience. Well, for Chris, I found a couple of really nice…oh wait…I can’t mention that here….Well, for Donna, there was just the cutest little…oh yeah…I can’t talk about that today either. 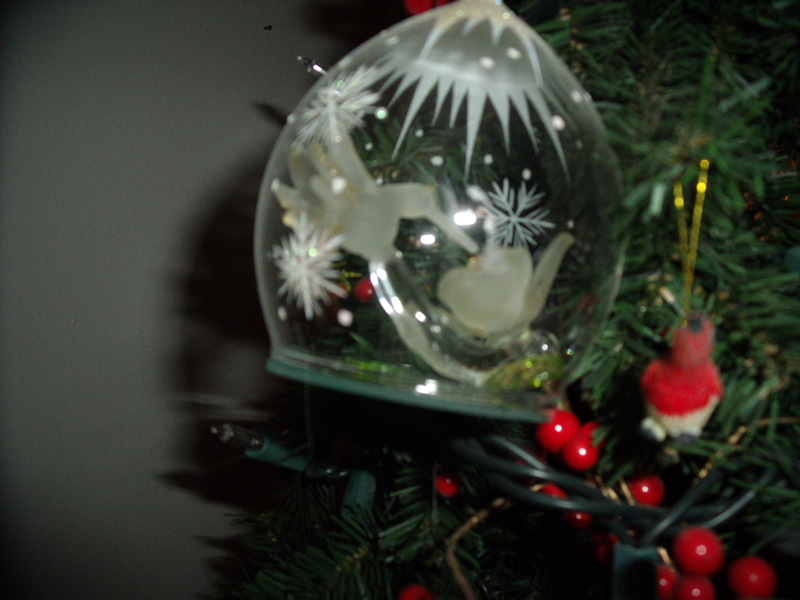 Hmm…well, for Lori & Brent and Brian & Sarah…oh…well…okay, can’t really mention that …well, I did get a really cute baby’s first Christmas ornament for my new little great nephew…see, he can’t read yet, so I think I’m safe with this one. Then there was the…for Kathy and Larry and David and Tracy…yeah, they all can and do read, so maybe I’ll just save that for another day too. Got some…..stuff….for the people I work with…but can’t really tell you what it was…wow, this is not a very enlightening post, is it? Suffice it to say, I’m pretty well done with my Christmas shopping…what a relief! So, what do you think? Are my loved ones and coworkers going to like their gifts? 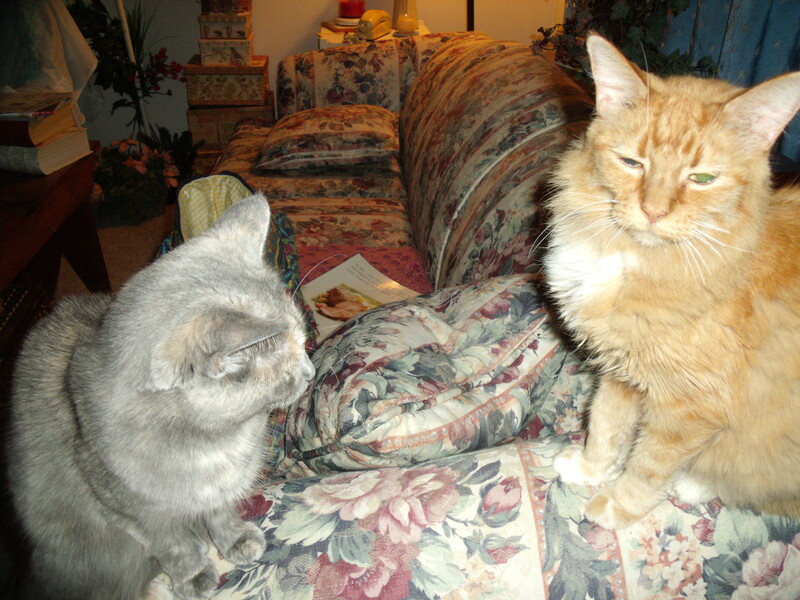 Yes, I am a BzzAgent and I am taking part in a campaign for a new cat food for cats that are 11 years old or older. 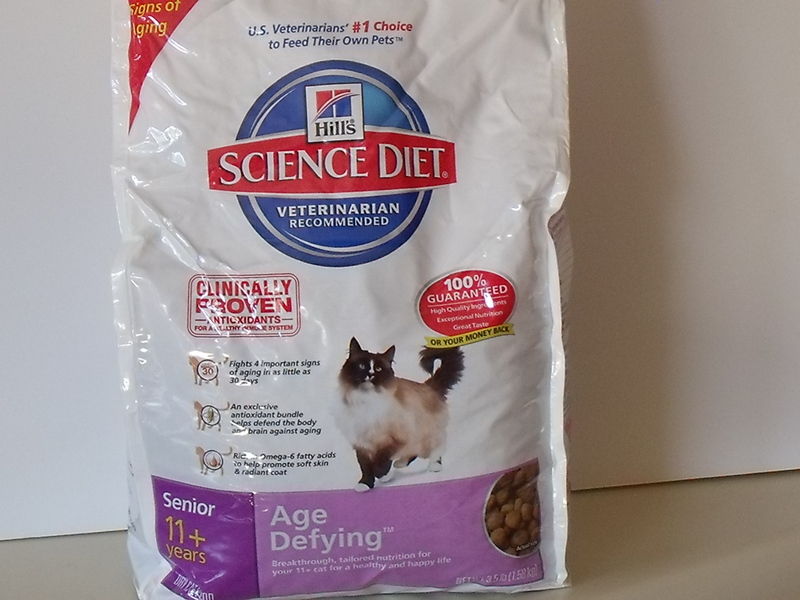 I received my packet for the new Hill’s Science Diet 11+ Age Defying cat food a while back. I eagerly opened the packet and read the info. Wow, a cat food that will help my older cat, Goldi, be more alert and agile, be more playful (she’s been sleeping a lot and is not a playful cat at all), and have fewer accidents. Ahh…yes, the accidents that happen with older cats, not something we like to talk about, but they do tend to happen occasionally. This sounds like it was made especially for Goldi. Let me give you a little background on poor old Goldi. I’m not exactly sure how old she is because she just showed up one cold fall day about three years ago. Fully grown, obviously an older cat, just as obviously she had been someone’s pet at one time. She wasn’t afraid of people, wanted in the house, and would come right up to me to be petted and loved on. I didn’t want to take on the responsibility of another cat. I already had my little Spooky girl and wasn’t looking to get another animal. But I couldn’t just leave her out there with no food and water, so I did put out food for her and kept fresh water available. Then, on one especially cold morning, I saw her sleeping under the dryer vent trying to stay warm. What can I say? I brought her in and put her in the spare bedroom until I had a chance to take her to the vet. No major health issues, just old age. The vet’s nearest guess was 10 to 12 years old. So I slowly introduced the two cats and they now tolerate one another. Honestly, Spooky would love to have a playmate, but Goldi wants no part of that. Over the past few months I’ve noticed Goldi not moving as fast as she was, not eating as much as she had been, and sleeping a lot more (yes, cats sleep a lot anyhow, but this seems excessive). Again, the vet said nothing major wrong with her, just old age. So, when the opportunity came about for this new BzzAgent campaign, I thought it would be perfect for Goldi. You can see, by the picture, that Goldi likes to get anyplace warm. 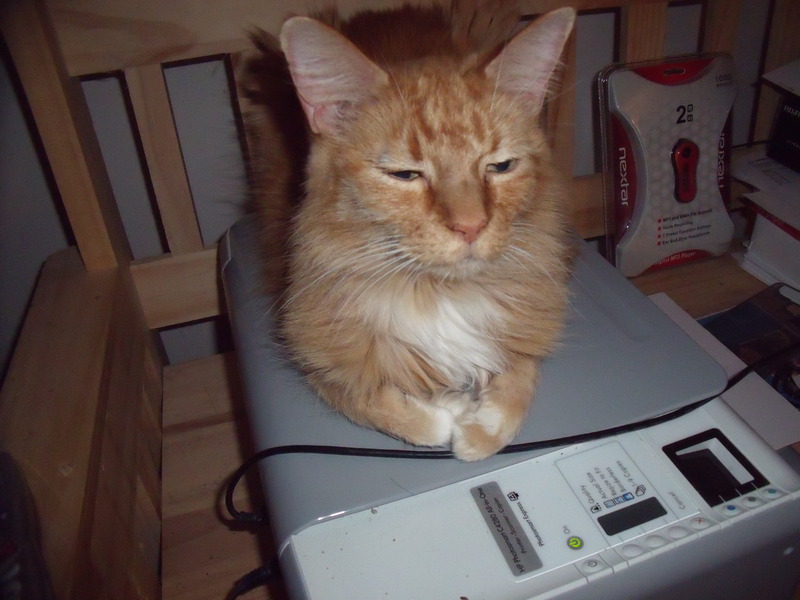 I think part of that is just being a cat…they all like warm places to sleep. But I also attribute part of it to the fact that she’s thin…hard to tell with all of that fur, I know..and it’s harder for her to keep her little kitty body warm. 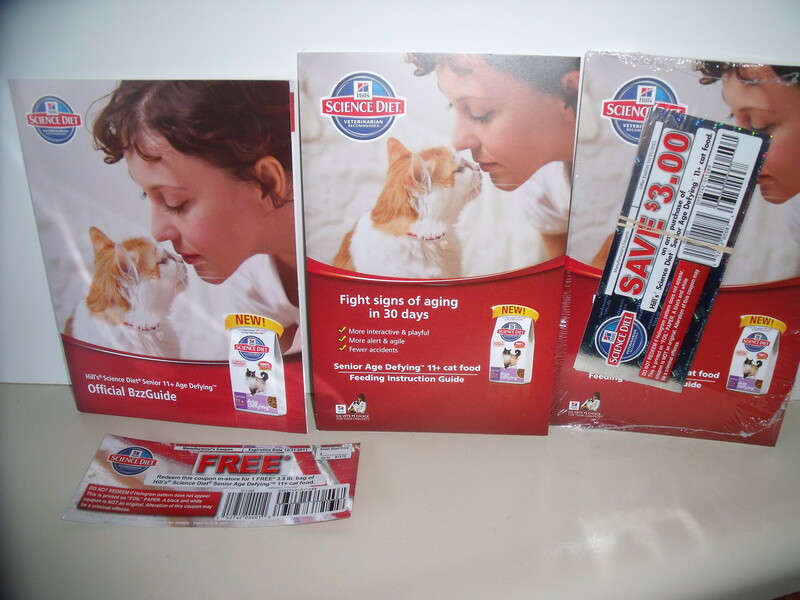 I like that they included a feeding guide along with my coupon for a free 3.5 pound bag of cat food (along with several coupons to share). I immediately put out a small bowl of the dry food for Goldi. She sniffed it and delicately ate a few bites. The thing with Goldi is, she never eats very much at one time, but nibbles throughout the day. I noticed she came back to the bowl several times over the course of the day. Oops, did I forget to mention that little Spooky also likes this food? The problem with that is she’s only 5 years old…goodness knows I don’t want her reverting back to kittenhood…she’s manic enough right now. So I (hopefully) solved the problem by feeding them in separate areas. I think Spooky may still grab the occasional bite, but not like she was. Now that I’m feeding this new cat food to Goldi on a regular basis, I’m going to do weekly updates on my observations about her health and behavior. Who knows? Maybe, just maybe, Spooky will get her playmate after all.